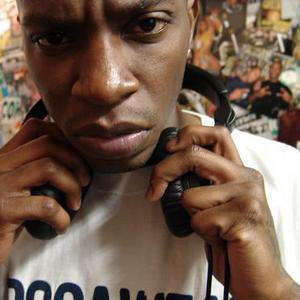 Nottz has produced for some of the biggest names in hip hop including Busta Rhymes, Snoop Dogg, Kanye West, The Game, Notorious B.I.G., Scarface, J Dilla, and G-Unit. Some of his earliest production work was on the Rawkus Records compilation Lyricist Lounge, Volume One, in 1998. From there he landed three tracks on Busta Rhymes' Extinction level Event LP, after Rhymes stumbled across one of his beat tapes. Like many other hip hop producers to emerge before the 2000s, Nottz borrows samples from old soul records and old movies soundtracks to reconstruct into new beats. West Coast hip hop icon, Dr. Dre, has named Nottz as one of his favourite producers, and has selected him as one of the few guest producers on his much delayed, yet anticipated Detox album. Nottz also has a group called D.M.P., which stands for "Durte Muzik Prahdukshun". They released an EP in 2004 and a full length album on Koch Records, titled Nottz Presents D.M.P., in 2005. Nottz will be releasing his first solo album, You Need This Music, in October 26, 2010 under his label, Raw Koncept. The album will feature Nottz as an MC as well as a producer. He is also working on rapper Game upcoming album The R.E.D. Album, after having 3 of his beats on Game's last two albums Doctor's Advocate and LAX. He has worked with female rapper Rah Digga on her long-awaited comeback album, Classic, and it has been released in September 14, 2010 under his label. Nottz is now working with rapper Asher Roth on their collaboration EP entitled Rawth which is schedule to be released in December 27th, 2010.